Ever since Canvas House designs creator, Meg, can remember she has been a lover of colors, textures, and fabrics. Meg grew up in a large family, with 6 siblings. Her Mom taught her to sew when she was 12 or so. She started out making quilts for her brothers and sister. Meg learned the basics of the machine, and basic pattern design. Years later, as a young mom, she took it to the next level and began making clothing for her babies. As Meg’s little family grew she would save what clothing she could to pass on to future children. And (if they lasted,) future grand babies. She found it increasingly difficult to find clothing that would withstand the test of time and style. Through many amazing opportunities Canvas House Designs was born. 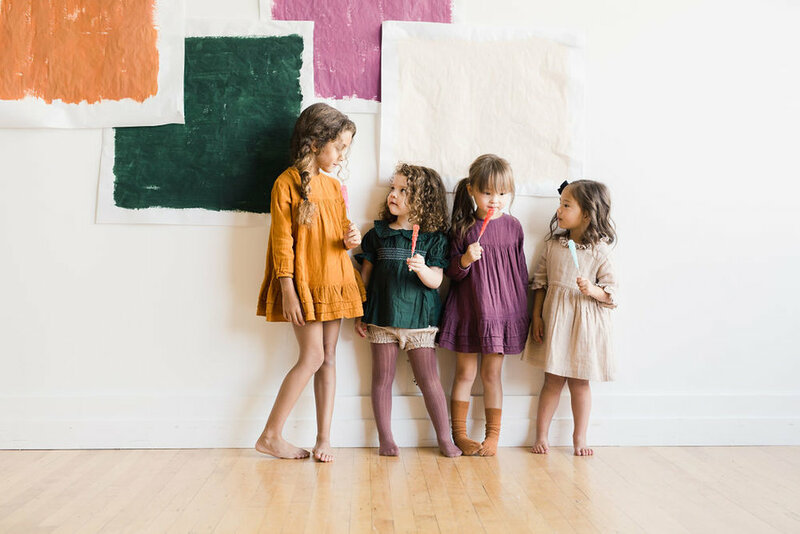 Their goal is to provide a line of children's clothing that is classic and timeless. Canvas House knows how important it is to have clothing that is not only beautiful, but comfortable and easy to play in. If your children's wardrobes are chosen carefully , you will want to include pieces that are versatile and will get plenty of use. Meg’s favorite line sums it up nicely- "clothing that seamlessly transitions from play, to party." And having items that look beautiful in all the photos you'll look back on is an added bonus. Canvas House carefully designs and inspects items to ensure quality and care go into every piece. Their hope is you'll love each item you receive, as much as they have loved creating them. Shop the Holiday Collection here and use code MINISTYLE18 for 10% off.